It’s wedding season. We’re travelling coast-to-coast, from destination wedding to hometown celebration, watching friends and family tie the knot. Sometimes we have more invitations that we can get to, but wedding season does mean one thing – gifts for the couple. If you’re like me, you’ve already been to a few weddings this year, but have not yet gotten the gift. This always puts me in a pickle because when I check the registry, it seems completely picked over and I can’t imagine my friends REALLY want yet another set of crystal glassware. I mean, it’s crystal. When do we ever drink out of crystal? I wanted to share a few ideas for you, wedding friends, that are sure to make any wine-loving couple happy. Two words – WINE CLUB. Such an easy, perfect gift. You can do anything from three months to a year, with an entry-level club or a high-end club. The gift that keeps giving… and while you can have too much glassware, you can never have enough wine to drink out of them! 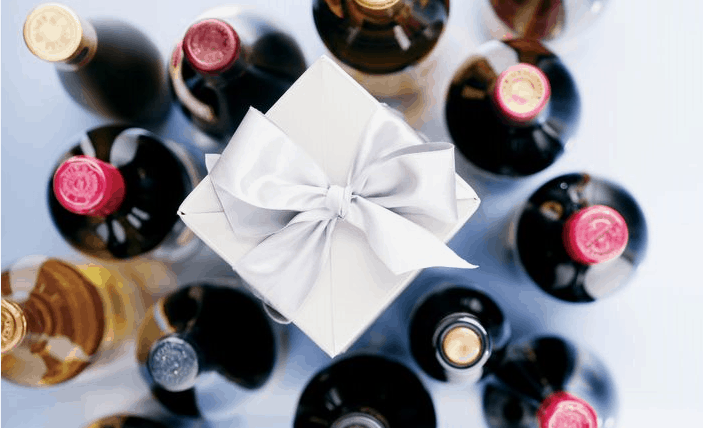 We’ve also got a great list of wedding gift ideas from our wine and gift selection. Wine Registry – encourage friends to join our community & create a registry wine list with all the wines they love! Again, you don’t have to worry about someone else buying that same wine, as you can never have enough of your favorite! To join our community, just go to www.wine.com/v6/community, create a profile page and then create a list. You can add any wine you want to that list and share the link with your friends. And… we’ve just launched our wedding services, which include free wine consultation for your wedding wines – just e-mail weddings@wine.com with your theme, budget and state and any other pertinent information – we’ll get back to you with some answers! I really love the idea of a wine registry. It’s always difficult to find the right wine as everyone’s palate is different. Looking forward to see how your registry service shapes up! !